Rockstar Dogs Groom Room at provides a one-stop service for your dog's grooming needs whilst at day care. Through our partnership with Laura Morey's Rockstar Dogs, we are proud to offer a unique, force-free grooming experience for your dog. 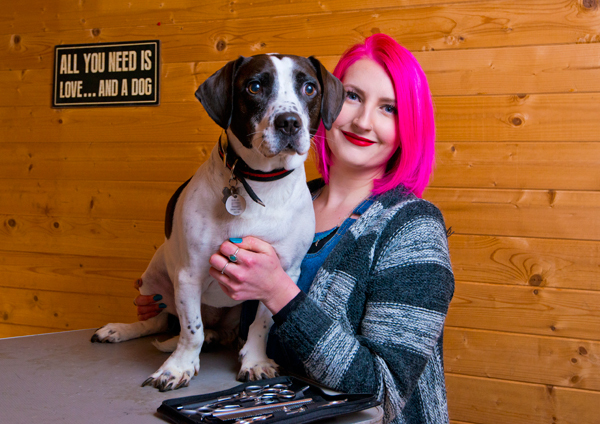 From nails to tails and everywhere in between, Laura will pamper your pooch to look and feel the best that they can. Laura will take the time needed to ensure your dog has a happy experience, without feeling fearful and needing to resort to aggression. We will discuss you and your dog’s individual needs, and you are more than welcome to stay whilst your dog is groomed. Only one dog attends the Groom Room at a time. No crates or nooses are used, and we only use eco-friendly and ethical products to work with your dog. 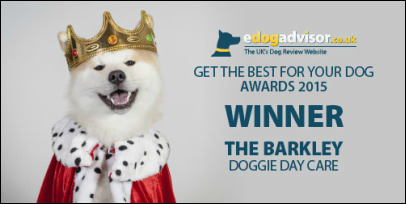 Please contact us to discuss having your dog pampered whilst in day care or boarding. Grooming starts from £25.